Home » Events » The Dinner Detective - Special Valentine's Day Show! The Dinner Detective - Special Valentine's Day Show! 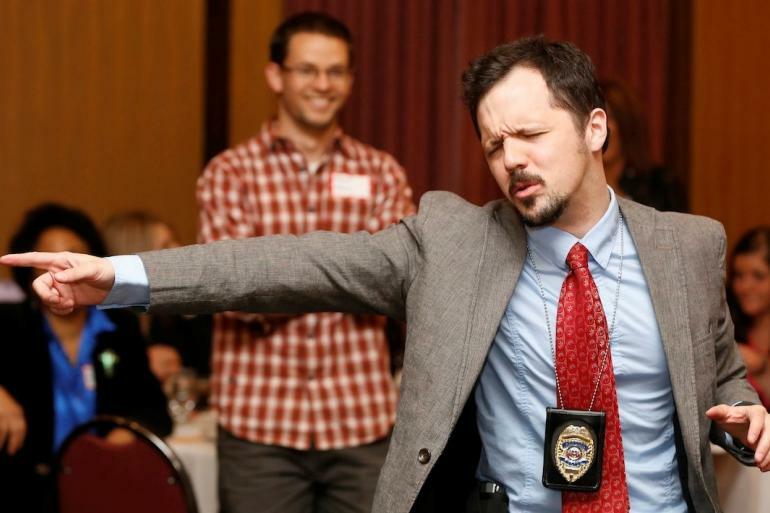 Its our Valentine's Day Special at America’s largest interactive murder mystery dinner show! The Dinner Detective provides a hilarious evening of murder mystery, a 4-course meal, and a prize package for the top sleuth. Just beware, the killer might be sitting right next to you! Please enter feedback about the information on this page for The Dinner Detective - Special Valentine's Day Show!